In the Faroese ballad tradition of wandering narratives, award-winning Faroese author Sissal Kampmann tells stories distilled into poetry. In Darkening/Myrking the concept of home is at the heart of this tale of love and longing, finding a place in people and time in a world of contrasts – looming mountains and wide horizons, outfields and streetlights, island isolation and urban anonymity. This is the first-ever bilingual Faroese–English publication of a work of Faroese literature. 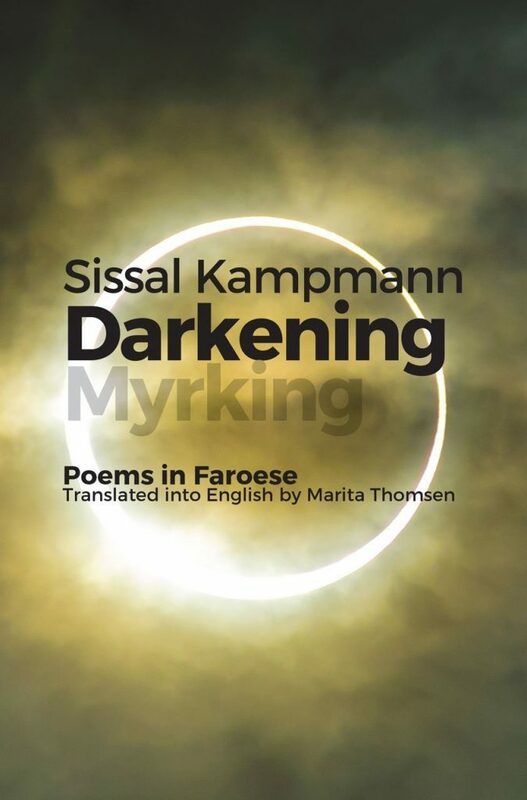 And who better to bring Faroese literature to the English speaking world than Sissal Kampmann, one of the pre-eminent contemporary Faroese poets, whose voice clothes universal human experience in distinctly Faroese imagery. Sissal Kampmann was born in the Faroese village Vestmanna in 1974. Darkening/Myrking is her sixth collection of poems. With her first collection Ravnar á ljóðleysum flogi – yrkingar úr uppgongdini(Ravens on soundless wings – poems from the stairwell) she won the Klaus Rifbjerg Debutant Prize for poetry in 2012. She returned to the Faroe Islands to work two years ago having lived in Denmark for 13 years. These poems, as well as the 2016 collection Sunnudagsland (Sunday land), were written in the Faroes. Marita Thomsen is from the Faroes where the wind often roars, and now lives in Keele where it whispers. Her love of languages and stories has crystallised into English translations of Faroese authors, while her work as a conference interpreter satisfies her curiosity and wanderlust. This anthology is the first to present contemporary Georgian women poets translated into English alongside the original Georgian.